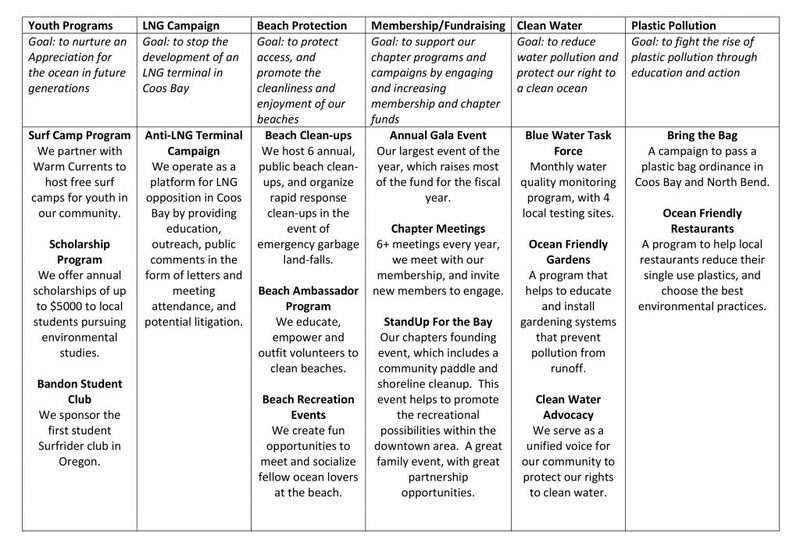 Below are the programs and campaigns the Coos Bay chapter leadership chose to continue in the 2019 calendar year. A big thanks to EVERYONE who attended the 2019 Chapter Visioning Session. There are TONS of volunteer opportunities. Please join us for our January chapter meeting to find out more!